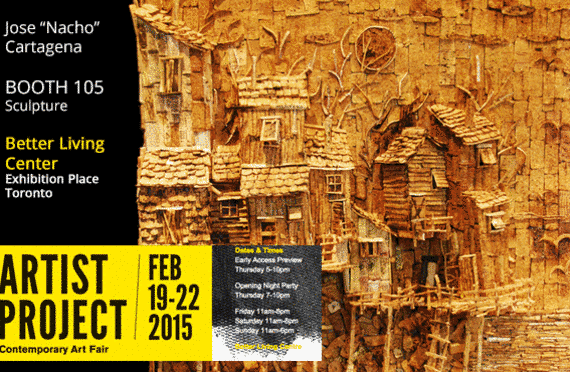 VAM 35 JURIED ART EXHIBIT | Art Gallery of Mississauga. "...One great exception is Nacho Cartagena’s three-dimensional “Artilleria Elevator”. This wall-mounted sculpture made entirely of cork evokes a whimsical Wild West-inspired, multilevel world. This fun piece is a good breather in a painting-heavy exhibit. to participate on the Visual Arts Mississauga 34th Annual Juried Show of Fine Arts.